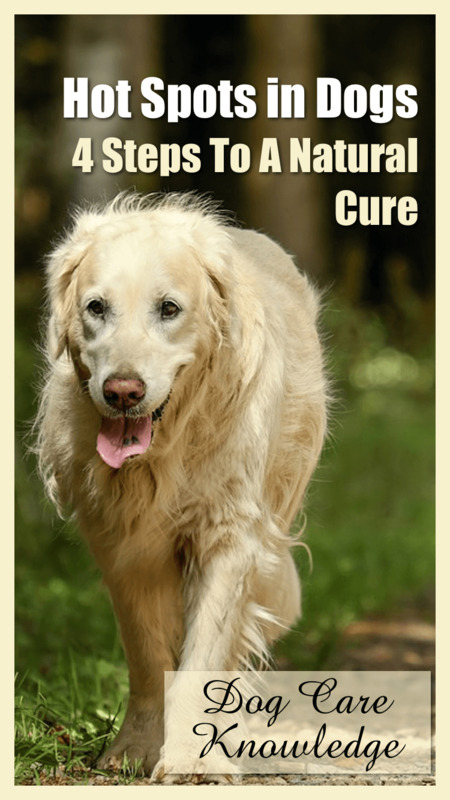 Hot spots in dogs can be caused by a variety of conditions such as yeast, mites, bacterial or fungal infections, allergies, matted fur, bug bites, and honestly, the list goes on and on. 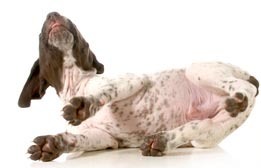 Basically hot spots are the result of anything that irritates a dog's skin causing him to itch in one spot. This then makes dogs lick, bite, and scratch at the area causing a sore. When a hot spot develops on a dog it's painful, itchy, and often seem to pop up over night. 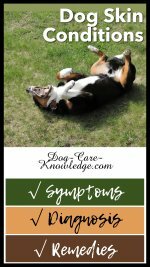 They're also recurrent so once you see one, your dog is likely to suffer from other hot spots over time. If your dog already has a hot spot it is important that you know how to treat it and prevent more from appearing. Here's how. Before we get started on how to treat a hot spot, we need to first know how to recognize one! In short, hot spots are angry looking sores. They are characterized as being red, hairless, inflamed areas of skin that are warm to the touch and very painful and itchy for your dog. They're fairly easy to spot as most often the area exudes pus and can be foul smelling. 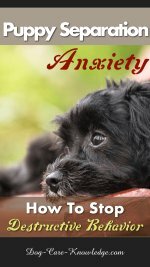 You'll probably notice your dog obsessively itching, licking and biting at the area. Once you've identified a hot spot on your dog, it's important to begin treatment as soon as you can. 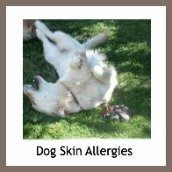 There are a variety of things you can put on your dog's hot spots, all of which are available over the counter at any pharmacy, or of course, from Amazon. As always, I like the natural approach so have outlined some good home remedies here you can try. Here's how you can do that in four easy steps. 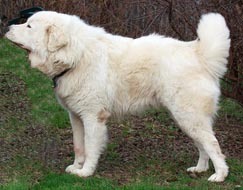 Unfortunately, most hot spots in dogs are aggravated by the hair that surrounds them. That's why the first, and probably most awkward step, is to cut, clip, or shave the hair around the hot spot to expose the sore and provide a clean area around the wound. Be very careful when doing this, and DON'T use regular scissors. Use either grooming scissors with blunt ends or clip the fur instead. The idea is to ensure you get a clear enough margin around the hot spot to stop hairs going into the wound. If you don't the hot spot will take longer to heal and can become infected really quickly. 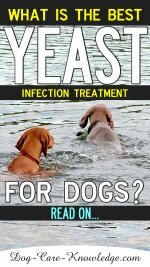 Hot spots in dogs are bacterial by nature and can increase rapidly. We therefore have to kill the bacteria. 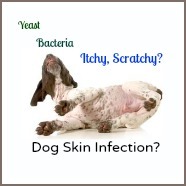 The best way to do this is to use a natural antibacterial solution that is safe for dogs and won't sting. Avoid anything with alcohol or vinegar. Also, if you're wondering if you can use coconut oil on your dog's hot spot, I would say no. It may sound like coconut oil is a good fit here; it's antibacterial, won't sting and is safe for dogs to ingest, however, coconut oil is also very moist and the aim of the treatment of hot spots is to dry the area out. I recommend using either Betadine or Chlorhexidine, both of which will need to be diluted with water according to the instructions on the bottle. You can purchase Betadine or Chlorhexidine below from Amazon, or from most pharmacies (e.g. Walgreens or CVS). Gently bathe the area with a soft cloth, gauze, or cotton wool dipped in the diluted solution (Betadine or Chlorhexidine). Do this as often as a necessary to keep the wound clean, dry and pus-free. Repeat for a minimum of three times a day, but repeat more often if you see pus oozing from the wound, even if its every two hours. As an alternative to the above method, you can also wash the area with soaked teabags (black or green) or Epsom salts. Green tea contains polyphenols that has an anti-inflammatory agent. Black tea has tannins that help to dry out the area. Either one can be used or a combination of both. The tea solution is best used before the Epsom salts method (below). Epsom salts also works well to dry the area and fight the bacteria. It will also provide a welcome relief from the itching immediately. Completely dissolve 1/2 cup Epsom Salts in 1 gallon of warm water. Stir well to ensure salts are thoroughly dissolved. Saturate a soft cloth in the solution and dab on the affected area. Repeat as necessary, about 3 or 4 times per day. To enable faster healing, use a natural topical solution that promotes recovery without aggravating the sore. I like Vet Recommended Colloidal Silver spray. It has an antibacterial and antiviral agent that is effective against most bacteria, germs, viruses, and fungi and heals the skin quickly. 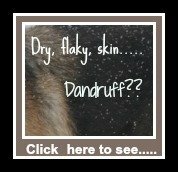 It comes in a simple spray that is easy to apply and fast working. Hot spots in dogs take time to heal. You'll usually see some improvement within 2-3 days but the total healing process can take 1-2 weeks. While the hot spot is in the healing process it's important to stop the itching. If you don't, your dog is going to be licking and biting at it, which won't help the healing process and will cause it to spread. 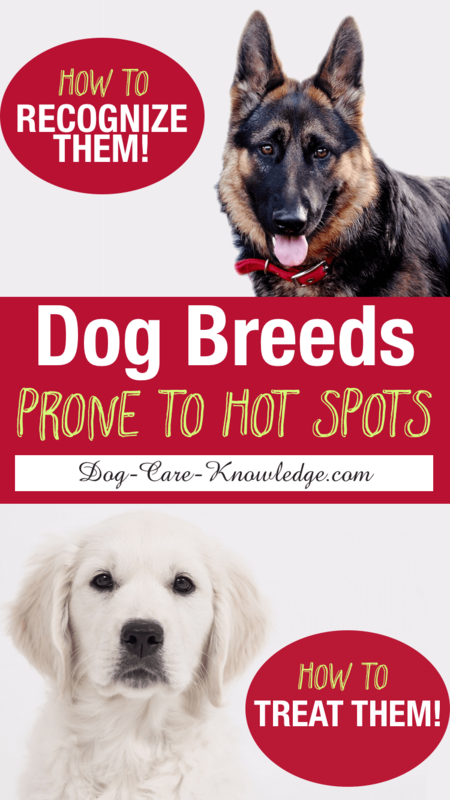 Hot spots in dogs spread fast! Best bet is to get yourself an Anti-Itch spray that specifically targets hot spots. I like Nature's Specialties Wham Anti-Itch spray as it has natural ingredients and works immediately. To prevent hot spots from coming back, you need work on treating the skin with an antibacterial and antifungal agent. I like Derma-Treat shampoo as it is relieves a whole host of irritations on your dog's skin not just hot spots. 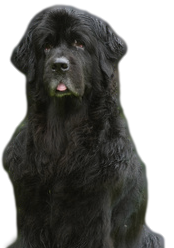 Although you may be seeing only one area of concern (the hot spot) there may be other issues with your dog's skin that you can't see under all that fur. That's why I recommend using a shampoo that is not only going to treat the hot spot, but will treat the whole skin and eliminate the root cause, preventing more from occurring. Besides, given that hot spots are usually secondary to a lot of other skin irritations (as listed below) it makes sense to treat the whole skin and not just the hot spot. 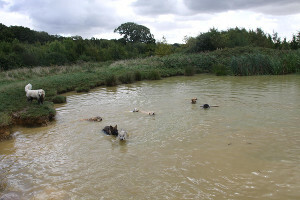 Dogs that swim a lot, live in a humid climate, or even just before shedding are also likely to be affected more. 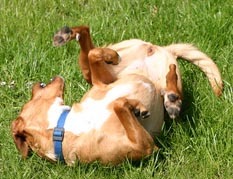 Basically any situation that causes moist, dead hair to be trapped next to the skin can also cause a hot spot in dogs. As you can see, there are many causes of hot spots in dogs and given that they often reoccur, I would advise trying to find the root cause. 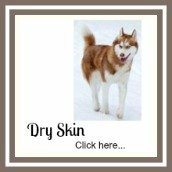 You can find more information on different types of skin conditions in dogs here. No matter what the cause of hot spots in dogs, treatment should always focus on these four steps; clean and dry the area out, kill the bacteria, heal the skin and relieve the itching for your dog.